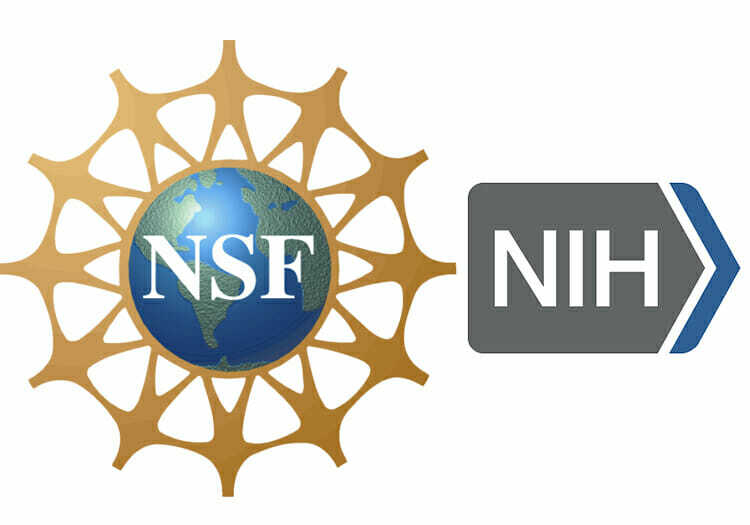 CSI faculty members have received grants from the NSF and the NIH. Adding to the impressive array of substantial grants received by College of Staten Island (CSI) faculty are several new and well-deserved federal awards. Professor Christina Tortora, PhD, has received a $740,000 grant to continue her research in linguistics. The collaborative research grant includes CSI as the “Lead Institution,” as well as the University of Pennsylvania, Queens College, and Lehman College. “I was thrilled to receive positive news from the NSF so early in the process,” said Dr. Tortora, a 16-year veteran at CSI. This is her seventh National Science Foundation (NSF) and ninth federally funded grant. The CoNYCE “will combine recent advances in speech corpus development tools with the special talents and backgrounds of CUNY undergraduates to create a database that will be a resource for researchers in all areas of linguistics. In so doing it will provide extremely valuable research opportunities and experiences for CUNY undergraduates,” according to Dr. Tortora. “Our students are perfectly positioned for this, and they are so excited about the prospect of interviewing a person of their own choosing. They are excited to contribute something of value, and they are committed to doing it right,” noted Dr. Tortora, who is also working closely with CSI-CUNY Speech Laboratory Director, Jason Bishop, PhD. As students gather data from different people and begin to process and analyze that data, they also work closely with Dr. Tortora as she mentors them through related research projects. Another significant award was made to Assistant Professor of Chemistry Sharon Loverde, PhD. Dr. Loverde received a $477,089 National Institutes of Health (NIH) grant to study the behavior of small molecules and to examine how they interact with each other or with cell membranes. Using computer simulation, Dr. Loverde’s team is able to observe perspectives that are sometimes difficult to recreate in an experimental scenario. “We can help experimentalists design better molecules or drugs, and our work is really best done at places like CSI where we can take advantage of the HPC and NSF Super Computers,” noted Dr. Loverde, who is currently working with three graduate students and two post-doctoral researchers, as well as with collaborators at City College of The City University of New York. They are looking to design different molecules to deliver cancer drugs to tumors. The focus is on how molecules behave in the body and these computer simulations are able to show just that. “I hope that people in my group are able to learn from their experiences here at CSI and then can move on to other positions in the industry or academia, and I also hope the collaborations that I’ve started will continue,” said Dr. Loverde, a Chicago native, who has been at CSI for three years. In other notable news, Dr. Emily Rice received a $565,658 NSF grant, her third from NSF; Dr. Sarah Berger received an NIH Research in Undergraduate Institutions grant for $375,000; Dr. Mark Feuer, with Jiang Xin, received his first NIH award of $307,156; Dr. Tobias Schaefer received a $99,554 NSF grant; and Dr. Greg Phillips received a $82,373 NIH award. NIH offers funding for many types of grants, contracts, and even programs that help repay loans for researchers. To read more about NIH, visit their Web site. 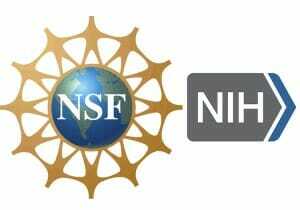 NSF funds research and education in most fields of science and engineering. It does this through grants and cooperative agreements to more than 2,000 colleges, universities, K-12 school systems, businesses, informal science organizations, and other research organizations throughout the United States. The Foundation accounts for about one-fourth of federal support to academic institutions for basic research. To read more about NSF, visit their Website.